Yellow is a color I always associate with happiness and positivity. So it's no surprise that I got so many compliments on this outfit when I wore it. 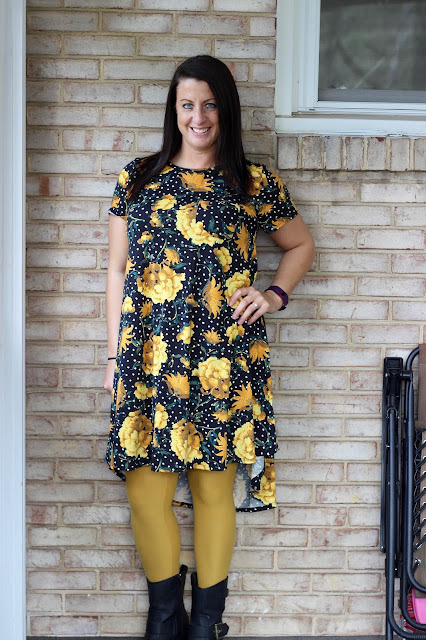 This is a Small LuLaRoe Carly with OS leggings. I really really REALLY love the pattern on the Carly. 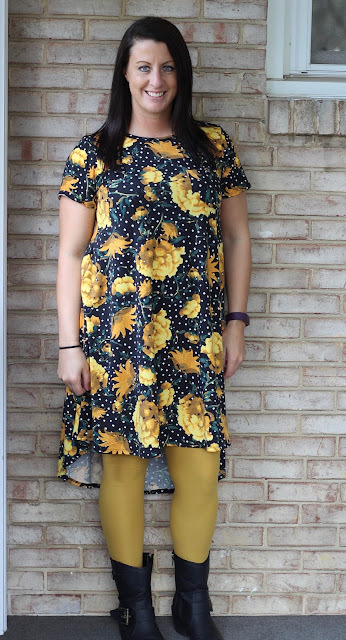 Yellow flowers with black and white polka dots. Seriously, I was so excited when this came in the mail. I'm so glad I found it.